The stars aligned this weekend, allowing me to drop the dog off for her grooming early in the morning, then heading out to hit the monthly show in Orland. I've been overdue hitting the show. My '64 set build has been stalled since I cannot find what I want at the price I am willing to spend. And the past couple visits to the Orland show has shown no sign of my vintage seller. Also, I have a few sets I need to complete and the right seller's dime boxes would help. If anything, I would get a few hours digging for cards, and that makes for a good day. Arriving, I did my usual - a lap around just to see who was there. My vintage guy? Check. Cheap dime box set filler guy? Check. Both of them, however, had no room for digging, so I found a new seller with dime boxes, and I pulled a Nick on him, finding 100 from a 5k count box. Ok - maybe a 15% Nick, but still quite the stack. Quite the assortment of cards, and thankfully the local teams were not pulled out, so I found a few Cubs cards for a couple people. 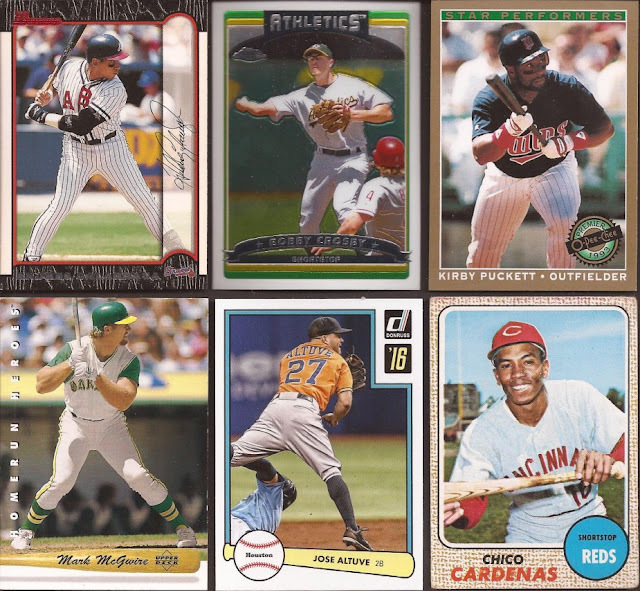 Not sure what that gem background Bere Bowman card is, but I wouldn't pass it for a dime. Same with the Alvarez minor league card. Custom binders were well represented. I also found the chrome of the Galarraga in the upper left. I almost passed on the '68 Chico, figuring I had it. But then I thought "it's only a dime, so I took a chance. I needed it. I wish I found a 2nd copy of that McGwire Homerun Heroes, and you will see in a couple seconds. 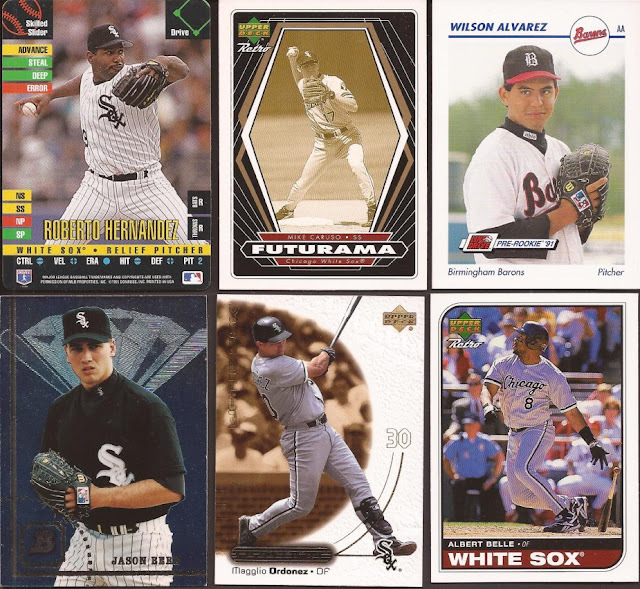 Yes - I am building the 2009 Upper Deck set, so finding a couple cards, along with a dozen from the Team USA subsets were a good dig. 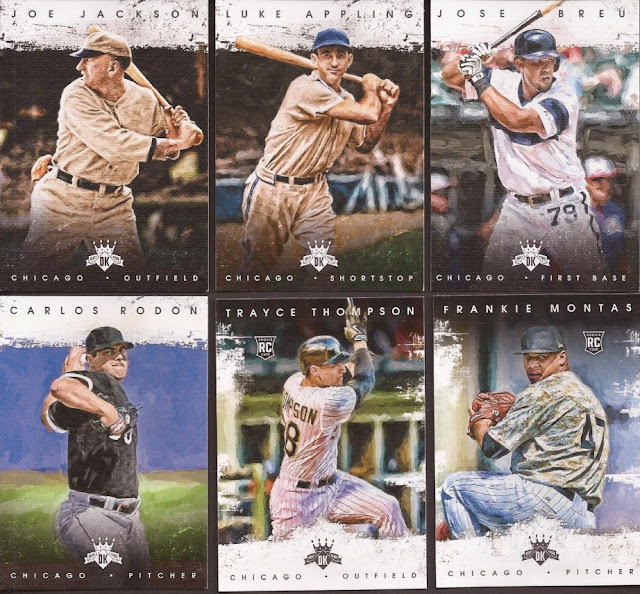 As were 7 Homerun Heroes insert cards from a couple years of UD. I need to organize what I have so I know what I need. That El Duque GQ card? It's a short print. And it was a dime. 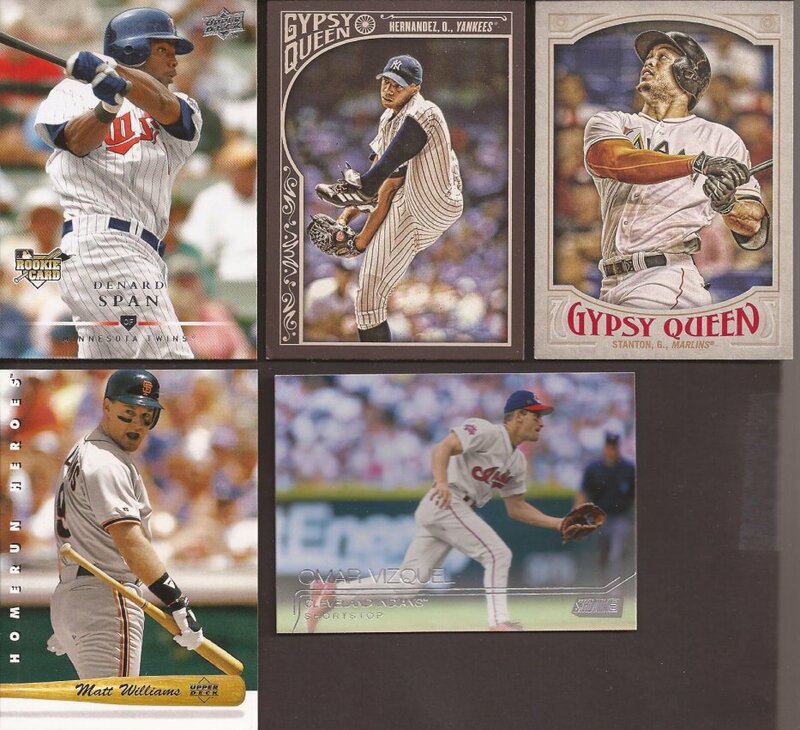 Now the other GQ was part of 20 I found at the set builder's dime boxes, along with 4 cards for the Stadium Club build. I'm shocked at the lack of SC in any set building boxes. I may have to buy a lot online. Might be better off taking a chance on another box at the price I'll pay. 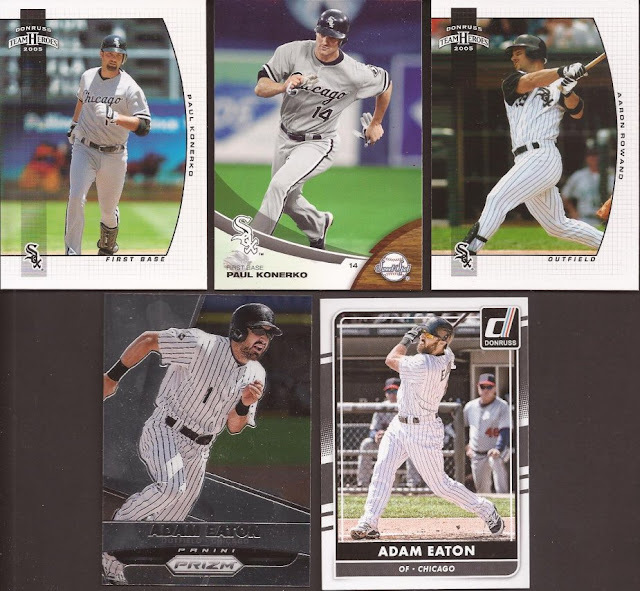 Complete White Sox 2016 Diamond Kings team set? Yes please. But why is Sale only a relic in the set and no base card? Player collections from the set builder's Chicago dime box. 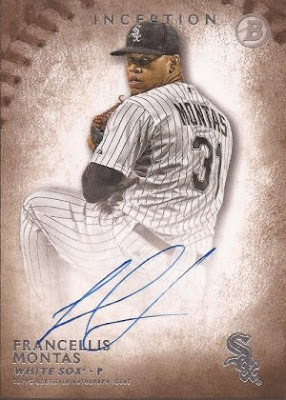 Man Donruss is ugly. Just ugly. YES!!! I marked off 17 cards from my vintage guys 3 for a buck bin. But before you pat me on the back, that Killebrew was not 33 cents. But I thought 2 bucks was a fair price even in its condition. Another great part of 3 for a buck bin is finding Sox vintage team set needs. 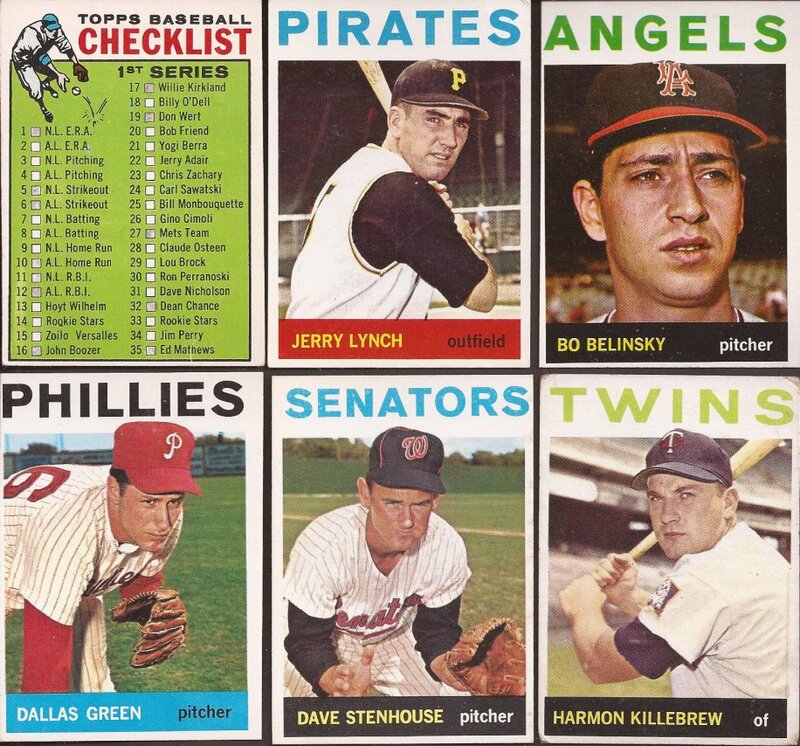 I found a total of 4 - I didn't scan the 1960 card I found, but trust me on the price. Had some paper loss on the back. Harmon was almost the most expensive purchase, but I decided to round up my set builder's dime box purchase of 120 cards (Nick 18%) with this card for a whole 3 dollars. Yeah, I know he is no longer a Sox, but I thought I may as well pick it up for $3. I hated the thought of making sure he had singles. And just as I paid, my phone goes off letting me know the grooming is done. Perfect timing. Hit the road and picked up my well coifed pooch. Some of those 64's sure do have some sharp looking corners, I'm a bit a surprised they would have been so cheap. And I think the Killebrew for $2 was a very fair price. Looks like some solid dime box and vintage digs. Hopefully one day this summer I can make it up to the Orland show. Some solid scores there Jeff and lots of variety. Nice pickups. Love crossing a few off of your lists. The '64 design is really starting to grow on me. Congratulations on creeping 17 cards closer to completing the set.